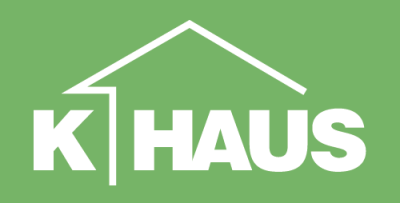 K-Haus Ltd is a joint venture company that specialises in designing, manufacturing, and constructing precision engineered passivhaus and +Energy buildings. Our partners have gained many years experience in Europe and the UK, manufacturing, supplying and erecting highly insulated timber frame buildings. Over the past few years the ‘Passivhaus System’ we offer has been tailored by our partners KAMPA GmbH to meet the growing need to build sustainable prefab homes within the UK. Learning from best practice from across Europe, K-HAUS with KAMPA offers a proven building system that is tailored to meet the current and future demands of the UK's stringent build regulations. ​Our Team – has gained extensive experience working in the construction industry in both the UK and Europe, and understands the need to provide quality and cost effective sustainable prefabricated homes that meet client requirements. Thomas Solle our Technical Director is a well known expert within the industry in both the UK and Germany. Previously Thomas was instrumental in establishing German closed panel producer in the UK market and he has been an independent technical advisor to world leading timber frame companies for the past 25 years advising on improving processes and product structures. ​K-Haus Ltd capability is further enhanced by the skills and experience of our partners. We work in partnership with KAMPA one of Germany's leading passivhaus construction companies. KAMPA has gained over 100 years experience in quality construction, manufacturing over 600 prefab homes per year, and solely focuses on leading the European market with its +Energy range of homes, designing and manufacturing highly energy efficient buildings.